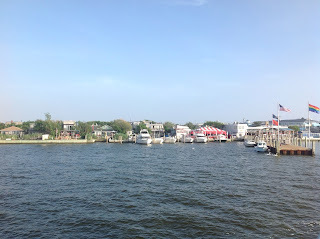 This year we went out to Fire Island and stayed in Cherry Grove instead of the Pines because we were only coming for a few days and accommodations were somewhat less expensive there. Both communities have reputations as being gay, very gay. Historically, the Pines appealed to men and Cherry Grove to women. But while the Pines seems to still be largely a bastion of affluent gay men, Cherry Grove doesn’t fit a stereotype. It is much more democratic. As one of our friends from the Pines says, “honky-tonk.” Both communities were damaged by Hurricane Sandy, but somehow Cherry Grove, with its slapdash bohemian air, was already on the edge of disrepair. You feel like many of the wood structures are just one good wind away from blowing over. The Pines, on the other hand, with its manicured modernist homes, shows every scratch. The boardwalks in Cherry Grove are warped and uneven, and nobody seems to care. In the Pines, you know they are using a level. Besides a few famous cruising spots, the Pines has a concentrated entertainment district around the harbor. Noted New York architecture firm HWKN has built a new Pines Pavilion to replace one that burned to the ground. Although not quite finished, it opened for business earlier this summer. The form and material seem to take some inspiration from Horace Gifford’s work, but updated in terms of structure and size. While Gifford’s work was drawn from Kahn, this is a modernist interpretation of Venturi’s “duck.” There is really one elevation that matters. In the Pines, people go to the beach, go to “tea,” and entertain at home. 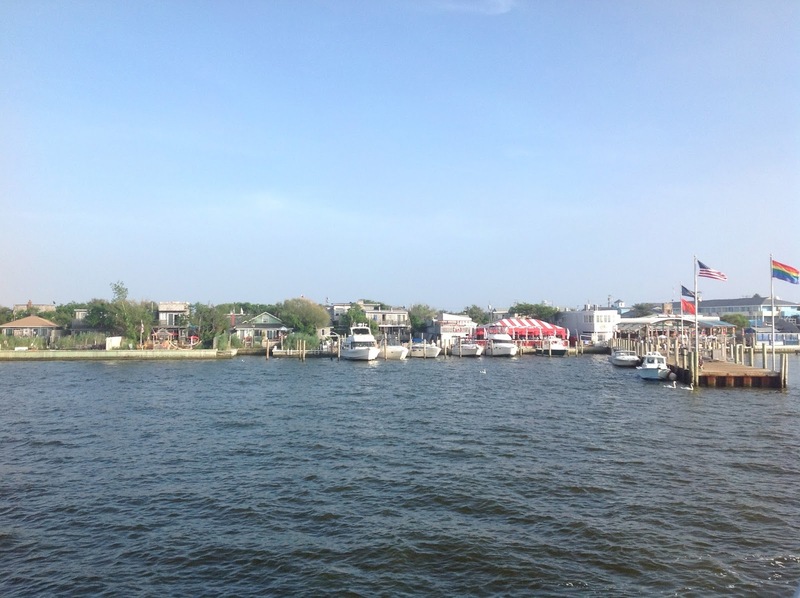 In Cherry Grove, it feels more like Carnaval at the Seashore. The houses and accommodations are generally much smaller and denser. Since folks in the Pines eat in more, the best restaurant we found was in Cherry Grove. But of course, the market in the Pines is far superior. Politically, I am more drawn to Cherry Grove, with its eclectic mix of incomes, gender preferences, short-short gold lamé shorts, tall-tall blonde wigs, and excessive tattoos. Aesthetically, I am drawn to the clean modern lines and private pools of the Pines. Different locale. Same old conflicts.